In part two of this response to William Broad‘s recent New York Times article and its call to alarm about yoga’s adverse effect on women’s hips, I’d like to offer the following alignment principles for safe practice. I bring to the issue my background as a holistic chiropractor and a yoga anatomy and alignment educator with over 30 years of experience. To avoid hip injury follow these yoga principles. 1. Maintain alignment through the central axis of the joint. Joints are designed to function most safely and to enjoy their fullest range of motion when they are centered and aligned along a common central axis. 2. In every posture, the bones approximate, and the muscles extend. Draw the bones firmly into the center of the hip joint and hug the surrounding muscles toward the body’s central core, creating a stable frame. Stretching of the many muscles associated with the joint initiates from the muscle belly and lengthens outward toward the tendons. 3. Move in accordance with the mechanics of ligament micro-folding. 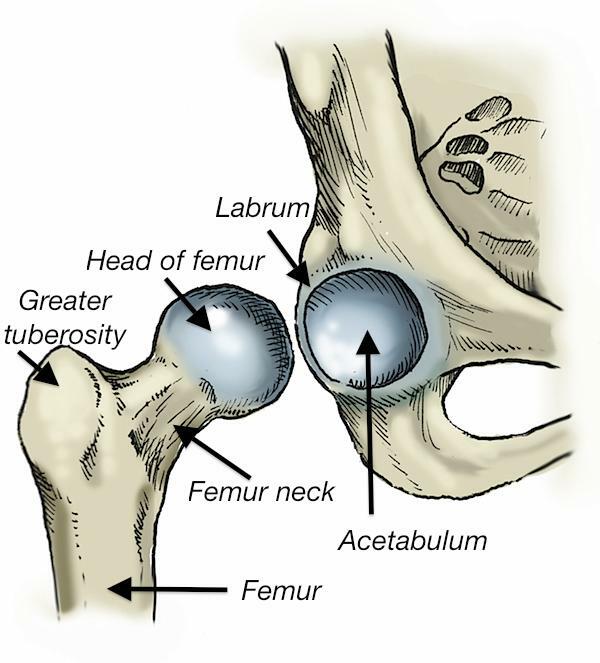 Hip ligaments have a system of extremely small folds, or micro-pleats, built into their tissues. These micro-pleats enable ligaments to shorten and lengthen safely by folding and unfolding. Ligaments also wrap around the joints and tighten or loosen their grip to provide either movement or stability when needed. For increased mobility, loosen the ligaments, letting them pleat and unwrap, by moving the hip joint in any or all directions of internal rotation, flexion, and adduction. For increased stability, tighten the ligaments, letting them un-pleat and wrap around their joints, by moving in external rotation, extension, and abduction. To afford the hips the greatest range of motion, deepen the hip crease, the space between the anterior spine of the pelvis (ASIS) and the front of the femur bone. 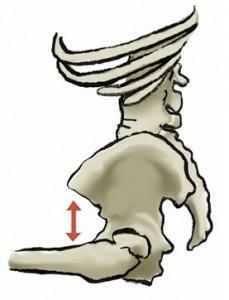 Deepening and widening the hip crease better aligns the hip and allows it to move more fully and without restriction. Focus extra intention on increasing the hip crease space along the outer portion of the joint. · Partially roll a blanket or yoga mat and place it firmly into place at the front of the hip joint. · Forward bend over the blanket and hold posture for a few minutes. *All photos and illustrations are the property of Steven A Weiss and Align By Design Yoga. Permission is given to Yoga Teacher Resource to use any or all images in this article. Sign up and receive free resources just for yoga teachers. Certification, Registration, and Licensing - what does it all mean and what do you actually need?